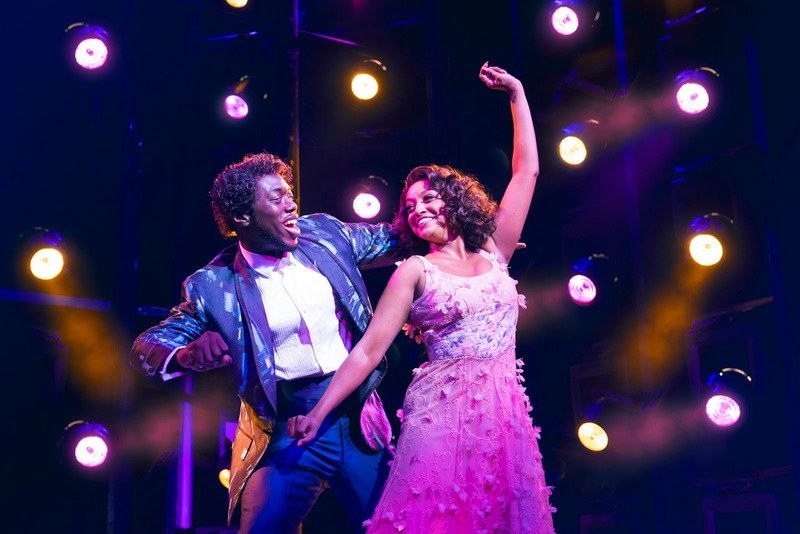 With the ever changing cast, Dreamgirls provides an ever changing energy. It’s hardly ever the same show. 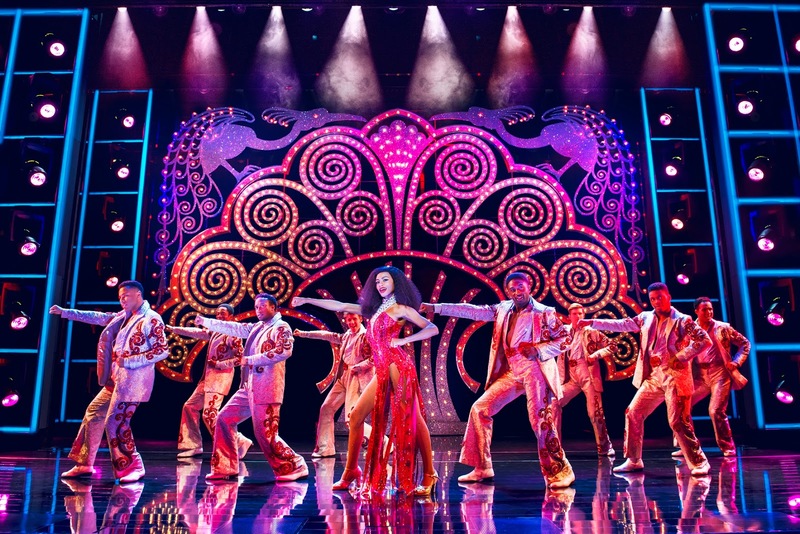 Whether this is a conscious effort of the actors and creative team or simply the fact that there is always a swing or cover on stage is unclear. However, the last two times seeing the show, including media night on Thursday, have been quite underwhelming. Until recently, if I was asked for recommendations for shows to see, Dreamgirls would be toward the top of the list. Now, it’s rarely given a thought. It has to be said, the low energy and wow factor actually comes from the ensemble in this show. Normally, the ensemble make the show great (as in previous cast), however, it all seems a bit too complacent and lazy. Asmeret Ghebremichael, who stars as Lorrell Robinson is the show stealer for me. The saving grace of the show, if you would. 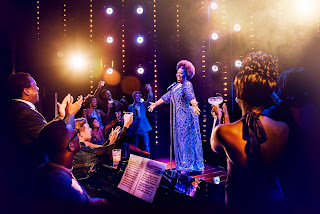 Not only does she deliver flawless comic timing and high energy from start to finish, her vocals are out of this world. Her voice seems to never end. Brennyn Lark is another stand out as Deena. She has you rooting for her from quite early on in the show by carrying herself more youthful than previous actress’ playing Deena. 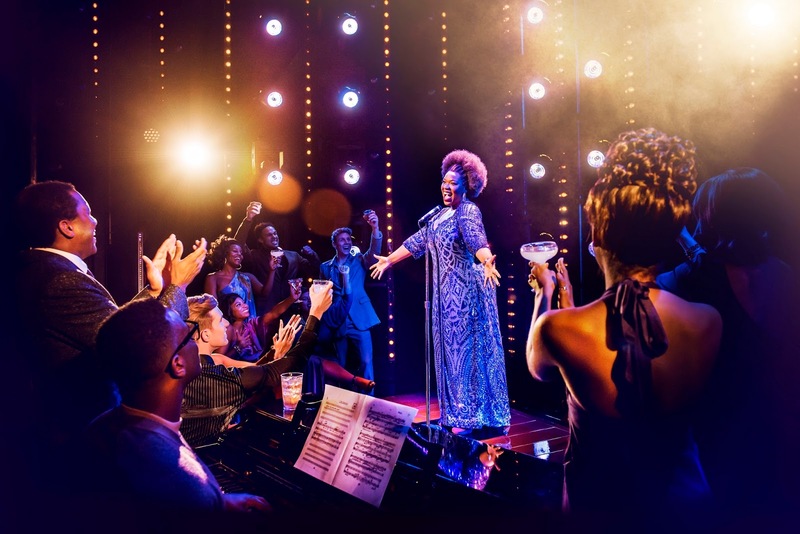 This not only allows a clear character arc to play out for the duration of the show, but also makes for a much more visceral, and often vocal, reaction when she finally leaves Curtis (Joe Aaron Reid) in Act 2.
casting of this role has been made purely on vocals. Moya Angela played Effie on Thursday evening and while her voice was breathtaking, her acting fell flat. More often than not, reacting before being given anything to react to and playing a general emotion for an entire scene as opposed to each individual line. Nothing could take away from her showstopping ‘And I Am Telling You’ though. It took me back to the same feeling I had when I first saw Amber Riley do it. The audience loved it! levels have been figured out and mixed. On the flip side of that - the lighting technician did a spectacular job. Overall, I would say Dreamgirls has lost its spark. However - I don’t think this is unfixable. 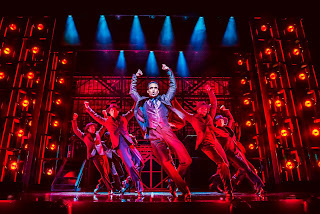 With a little bit of cleaning from the Dance Captain and input from the resident director, I feel that the cast has the ability to make the show what it was again. If they don’t - I wouldn’t be booking very far in advance!